NASCENT News & Events: Assembly of NASCENT's 1000th AGS Kiosk BEGINS! 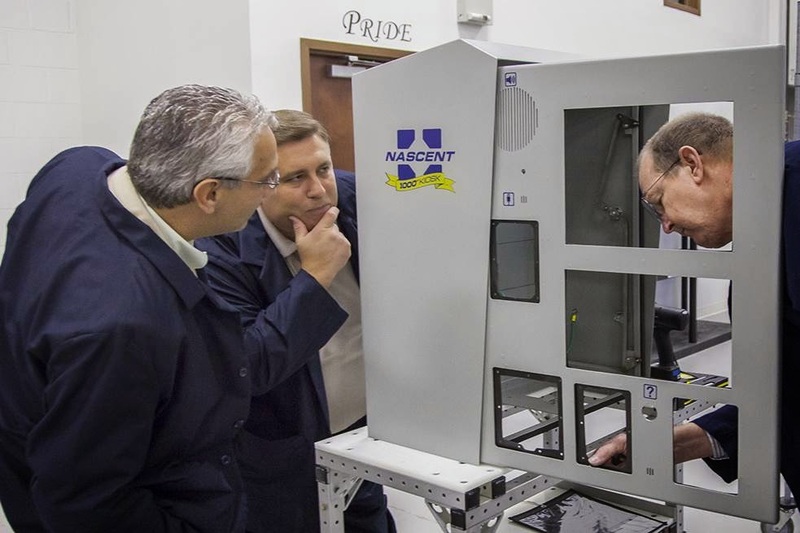 Charlotte, NC - October 8, 2014-- NASCENT Technology (NASCENT), the leading technology solutions provider to the Intermodal Transportation Industry, has announced that it began final assembly of its 1000th SYNAPSE AGS Kiosk. Under the watchful eye of senior management, final assembly began earlier in the day. The G6 kiosk, branded w/ a special decorative banner, is destined for Norfolk Southern's Charlotte Intermodal Facility. It is scheduled to ship later this month.